The WRC franchise is one that has stuck pretty true to itself from iteration to iteration. WRC is consistent if nothing else, unfortunately it is consistently mediocre and WRC 4: FIA World Rally Championship doesn’t do a great deal to change that. 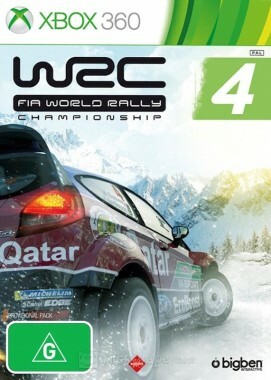 In fact WRC 4 comes off as a cheap copy and paste job of WRC 3, except worse. The problems that plagued WRC 3 rear their ugly head once again in what amounts to an all around lazy effort called WRC 4: FIA World Rally Championship. What separates WRC 4: FIA World Rally Championship from its predecessors is its inherent lack of ambition. Whilst previous installments of the series at least tried to shake things up with new modes and features, WRC 4 doesn’t introduce anything we haven’t seen before, nor does it improve upon it. Instead it strips back a lot of the flavour present in WRC 3 that made it at least striking and distinct, leaving it an empty shell of a game with no spark or drive. 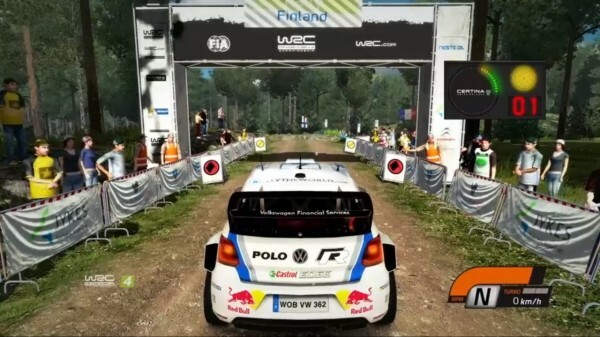 Much like its predecessors, WRC 4 is a very single player driven game. You are always racing alone, even in multiplayer. This isn’t something that you look for when playing multiplayer and WRC 4 has done nothing to improve upon this flaw with WRC 3. Playing online and playing through the single player modes feel identical, created a monotonous stream-lined experience lacking any hint of variety. The racing mechanics themselves are largely unchanged, still placing you in a narrow track with a voice over guiding you through every single twist and turn of the track, removing any sense of surprise that awaits you on the course. The controls are fairly solid but don’t require any real skill to master, making for a rather shallow level of challenge. 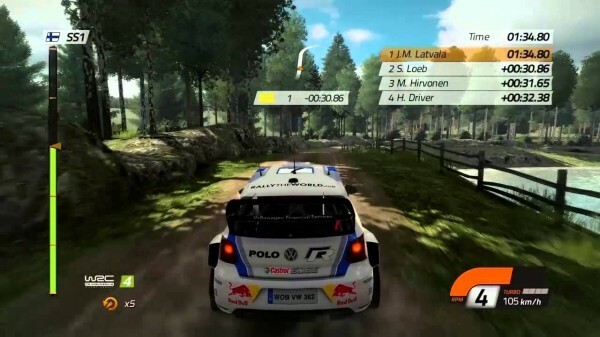 There are several game modes in WRC 4: FIA World Rally Championship, however all of them feel the same. It doesn’t matter if you are playing ‘Quick Stage’ or ‘Career’, both are essentially the same gameplay with different menus attached. While the ‘Career’ mode attempts to come off as having some depth, it is nothing more than a series of races that feel no different from if you were playing ‘Quick Stage’ over and over. Online play is not much better. Sure you are technically competing against opponents, but they aren’t there with you, you are just alone and so are they. It is easily one of the weakest online modes ever seen in a video-game and a true disappointment. Of course with all things considered it must be noted that this game is aimed towards rally fans and sure they might just get a kick out of this game. Though they would honestly be better off just getting WRC 3, which felt far more polished than this game as bad as it was. In fact the most impressive thing about WRC 4 is that it actually makes WRC 3 look fun in comparison. This is a game that reeks of a rushed development cycle, it is a damn near copy and paste of the previous game apart from some different vehicles and environments. There is little to like here in WRC 4 even if you are a fan of motorsports. There are far better rally games on the market and WRC 4 doesn’t even try to compete. In fact the game is about as boring as a racing game can be, it holds your hand constantly, doesn’t give you any real options and every mode feels the exact same. WRC 4 is the product of a lazy and tired development team that just don’t seem to really care anymore. As far as visuals go, WRC 4 does a decent job in that department. It looks pretty decent on the Xbox 360, with some fairly realistic graphics. Cars are rendered quite nicely and the environments each look distinct and relatively crisp. There is some tearing issues at random times, but despite that the visuals and one of the only redeeming qualities of this title. The audio featured in the game however is quite pedestrian. Unlike other racing games on the market we aren’t treated to some licensed tracks and instead are predominantly listening to the revving of cars overlayed by the voice over telling you every move to make. It is a disappointing effort on what was touted as one of the newly polished components of the game. Sure the cars sound true to life for the most part but it quickly grows grating after a few races. 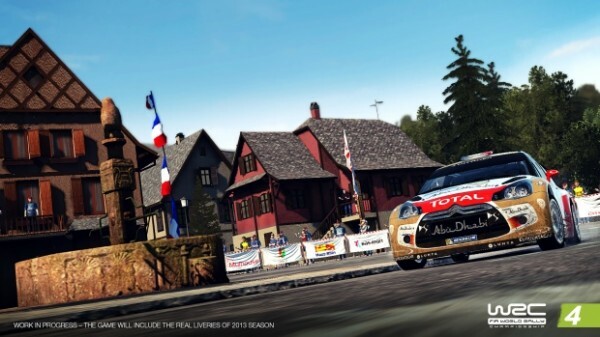 WRC 4: FIA World Rally Championship is a major misstep for the WRC franchise. Rather than moving forward, the series seems well and truly stuck in the mud with this installment, doing little more than spinning its wheels desperately hoping that all that mud splattered about will let them get out of the rut they are stuck in. Unfortunately such is not that case. WRC 4 is a disappointing game that does nothing to improve upon the lackluster WRC 3, in fact it makes WRC 3 actually look good in comparison (admittedly an impressive feat). 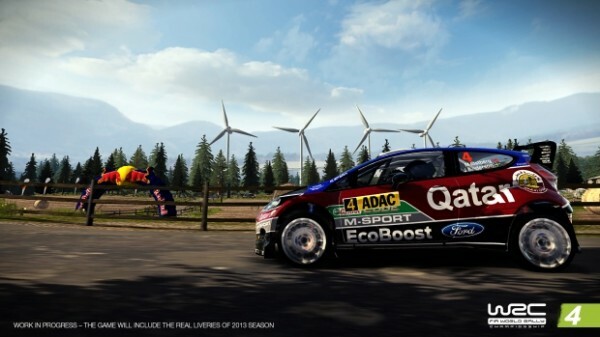 While there may be something worth a look in here for rally fans, they would be best off sticking with WRC 3 for now. This is just not enough of an advancement for the series and sadly not at all worth the price of admission. If you are new to the rally genre and looking on with curious eyes, this is not the game to be looking towards. WRC 4 is a lazy half-baked rush job of a video-game that doesn’t even try to be fun. My advice would be to hop in your car, chuck a U-turn and drive as far away from this game as you can. The saddest thing about WRC is that there is potential here. In theory WRC’s gameplay formula with a few tweaks and a nice coat of polish thrown on could make for a superb racing game, but unfortunately what we have here is a lazy made game that just doesn’t care to be anything more than mediocre.